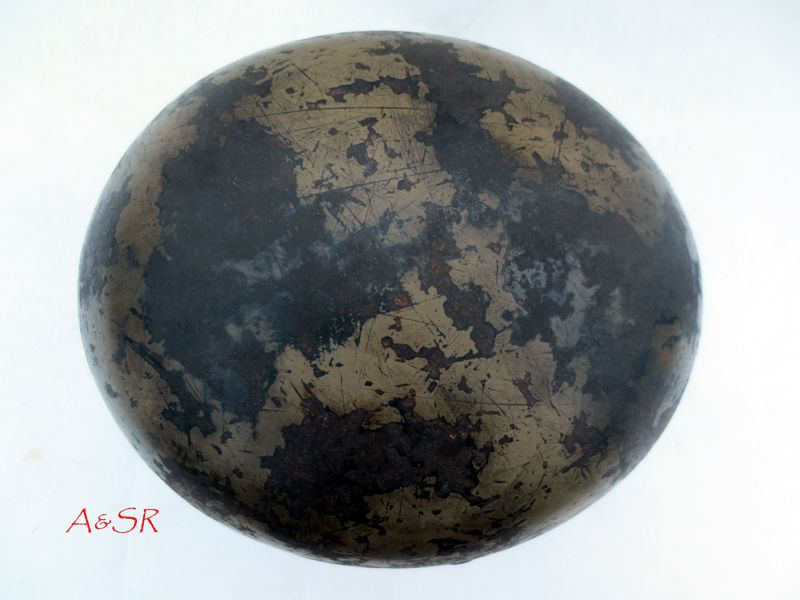 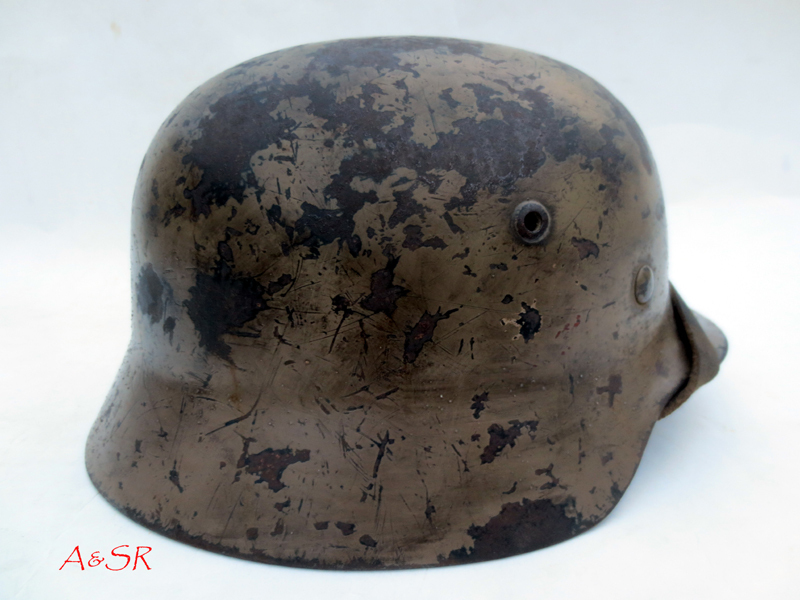 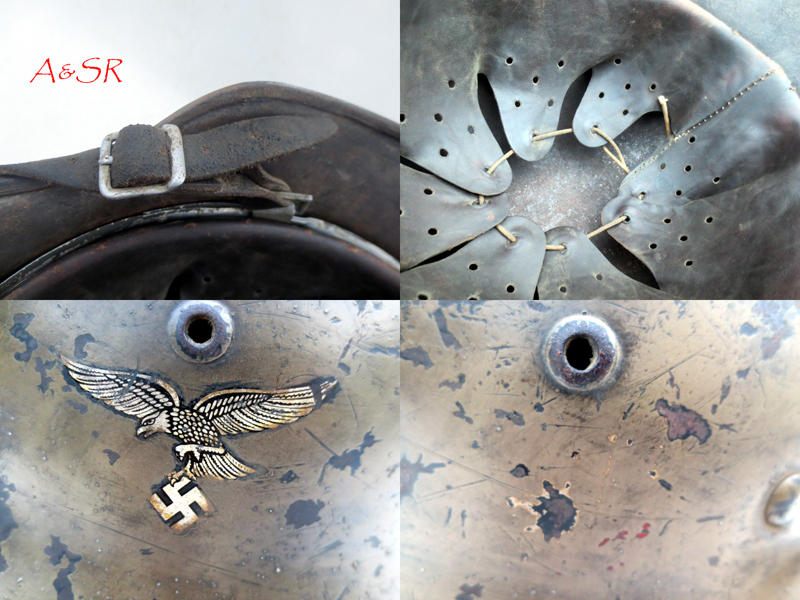 M35 Luftwaffe helmet with sprayed on DAK camo. 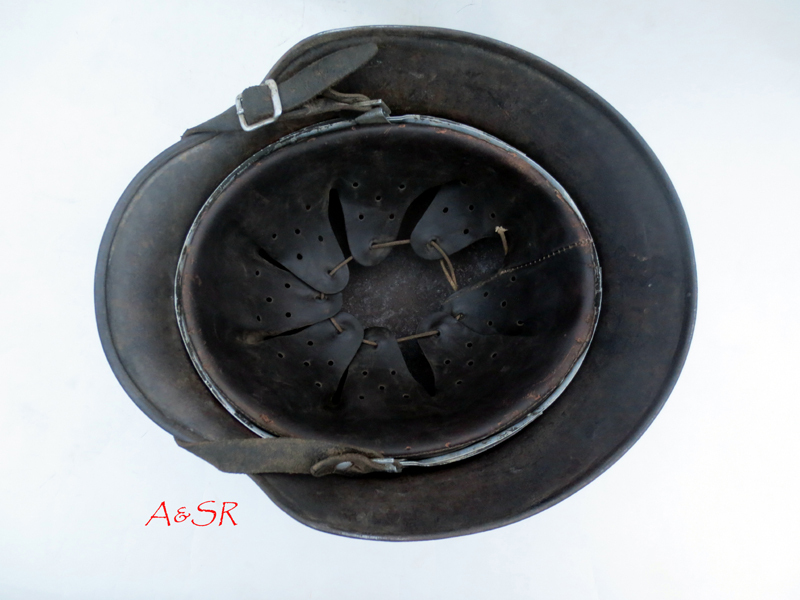 This helmet featured a light desert gravel finish, almost most of it has worn off. 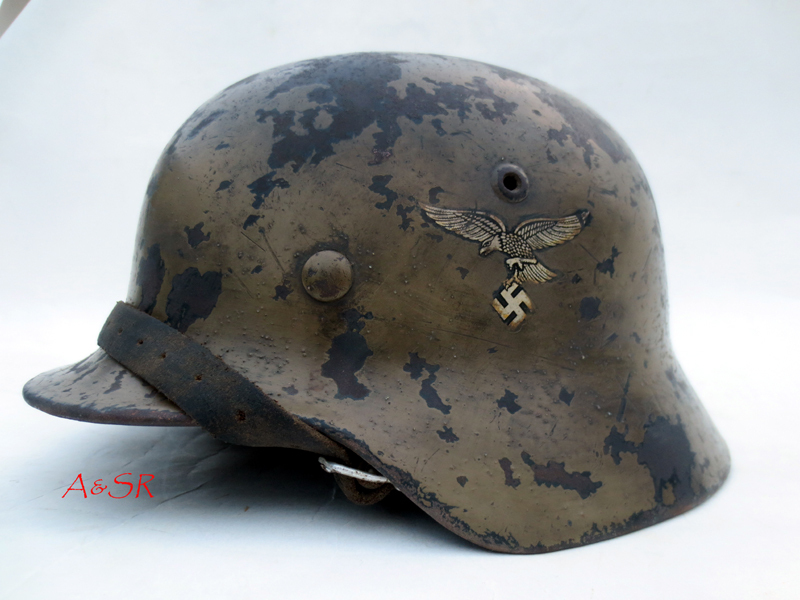 The helmet is heavily aged to have to look and feel of a real DAK vet bring back. 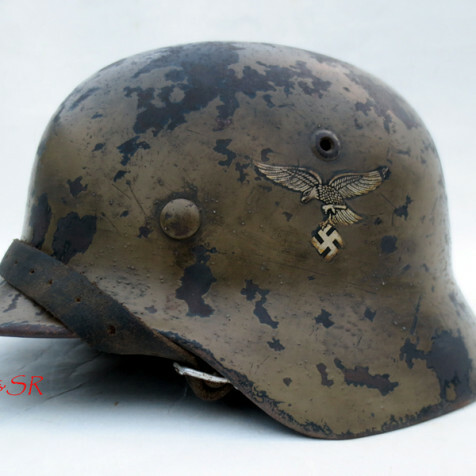 The leather in the liner and chinstrap show dark sweat staining as would be expected from a helmet that saw service in North Africa.